E. Talitha Ebrite’s practice focuses on business litigation (State and Federal). 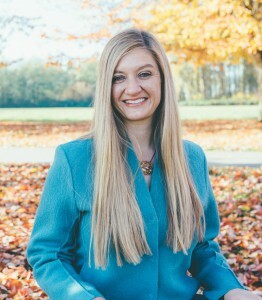 Talitha has worked closely with large and small oil and gas companies, major retailers, and a number of other business entities to accomplish their goals in matters relating to class actions, revenue accounting, environmental claims, employment discrimination, and a broad assortment of other commercial disputes. A significant portion of Talitha’s practice is also devoted to drafting oil and gas drilling, division order, and acquisition title opinions. Talitha was selected as a Rising Star by Super Lawyers Magazine. From 2010 to 2012, Talitha supported the exploration and production function of Devon Energy Corporation in Oklahoma City, OK.
Talitha is a member of the Oklahoma Bar Association and the Oklahoma County Bar Association, and she has been admitted to practice before United States District Courts for the Eastern, Northern and Western Districts of Oklahoma. Talitha has also been admitted to the Washington State Bar Association. Talitha joined the firm in 2006 after graduating with highest honors and Order of the Coif from the University of Oklahoma College of Law.